Now that spring is coming, why not let us take care of it and provide you with top-rated spring cleaning Tower Hamlets E? We have invested in the latest, modern cleaning units, tools and uses only perfectly safe and bio-degradable cleaning detergents, provided by Prochem. We have a detailed spring cleaning checklist, and will accomplish any one requested by you if the hours you have planned are enough. 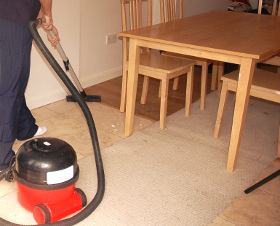 Let us make your domestic or business property into a thoroughly clean and attractive place. Better Cleaning Company selects its cleaners only based on references from trustworthy sources. We carry out a thorough background check for all our workers. They are all diligently trained to deliver the results using our state-of-the-art cleaning systems, instruments, and Prochem licensed detergents. Our one off cleaners Tower Hamlets E deliver an exceptional one off house, spring and builders cleaning service, and work in line with the safety and quality sessions of our professional cleaning company. All of our services are fully covered with insurance. Ask for a few technicians when you need to clean below big furniture and other heavy appliances. When you'd like us to provide the cleanup solutions and tools, tell us beforehand. What if my technicians can`t complete the entire cleaning on time based on the schedule? You have the opportunity to extend the appointment in time if this is effective for the cleaners and for you. Otherwise you can easily arrange another cleanup to finish the work. It never happens but if it does, tell the cleaners if you are capable to. If this isn't possible, call us. All you need to do is make contact with us by either call 020 3746 3201 or fill in our online request form. No deposit is required. We have fixed and reasonable rates. We charge no special fees for national holiday weekend availability. Our one time cleaning service is , so you can choose what residence areas you want us to freshen. We offer same day, one off cleaning Tower Hamlets E visits when possible too.